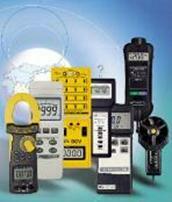 Transmitters | Test and Measurement Instruments C.C. 2 Wire Pressure Transmitter:2, 5, 10,20, 50,100,400Bar Output: 4 - 20 mA DC. To be used with CT-2002 or CT-2012 Controllers. See below. RPM Transmitter:100-20,000 RPM, Output: 4-20mADC. Power Supply : 90 - 260 VAC, External Adjustment: Span,Zero. Optional: Sensors: PI-01, PI-06. .
Sound Level Transmitter: 30 - 130dB, Output : 4 - 20mA, Excitation Voltage: 9 VDC, Sound Level Probe Included. Optional: Calibrators SC-941, SC-942. Anemometer Transmitter: 0.4 m/s to 30 m/s, Output: 4 - 20mA DC. Power Supply : 90 - 260 VAC. Anemometer Probe Included. Dissolved Oxygen Transmitter : 0 - 20 mg/L, Output: 4 - 20mA DC. Power Supply : 90 - 260 VAC. Included: Dissolved Oxygen Probe, Diaphragms, etc. Light Transmitter : 0 - 2,000 / 20,000/ 50,000 Lux. Output: 4 - 20mA DC. Power Supply : 90 - 260 VAC. Light Probe Included. Sensor transmitters are measurement or signal conditioning packages that provide standard, calibrated outputs from sensors or transducers. Outputs types include current loops, variable voltage levels, frequency or pulse signals, timers or counters, relays, and variable resistance outputs. Sensor transmitters can also provide radio frequency (RF) signals and transistor-transistor logic (TTL) outputs. Current loops such as 4 – 20 mA are suitable for sending signals over long distances. Typically, a current is imposed on the output circuit proportional to the measurement. Feedback is used to provide the appropriate current regardless of line noise and impedance. Variable voltage outputs are simple, usually linear functions of the measurement. Frequency or modulated frequency outputs for sensor transmitters include amplitude modulation (AM), frequency modulation (FM), sine waves, and pulse trains. Sensor transmitters can receive three types of inputs: signal inputs, sensor inputs, and inputs from special devices. Signal inputs include DC voltage, DC current, AC voltage, and AC current. They also include frequency and charge, signals that often require filtering and amplification. Sensor transmitters receive sensor inputs from accelerometers, thermocouples, thermistors, and resistance temperature detectors (RTD). They also receive inputs from strain gauges, many of which use a Wheatstone bridge, and from both linear and rotary variable differential transformers (LVDT and RVDT). Inputs from special devices include signals from encoders and signal per cycle counts from counters and tachometers. Timers, clocks, relays, and switches can also provided special inputs to sensor transmitters. Sensor transmitters differ in terms of form factor, mounting style, and user interface. Some products are integrated circuit (IC) chips that mount on printed circuit boards (PCB). Others are PCBs that attach to enclosures or plug directly into computer backplanes. Sensor transmitters that stack in modular bays or slots; and that mount on panels, chassis, racks, or DIN rails are also available. DIN is an acronym for Deutsches Institut für Normung, a German national organization for standardization. Stand alone sensor transmitters are benchtop or floor-standing units with a full casing or cabinet. For user interface options, sensor transmitters may include a touch screen, an integral front panel and display, or a hand held device that offers remote programming features. Computer programmable sensor transmitters interface to a separate supervisory or host computer. pH transmitters provide electrical outputs that are proportional to potential of hydrogen (pH) inputs. The pH scale is used to express the acidity or alkalinity of a solution by measuring the concentration of hydrogen ions in the solution. An acidic solution has a higher concentration of hydrogen ions than an alkaline solution. pH transmitters include a pH sensor, which uses electrodes or wires to test the solution’s pH measurement, and a controller which processes the raw signal from the pH sensor and delivers it to the transmitter. In this way, a pH transmitter is able to convert the pH of a solution into an electrical signal. Some pH transmitters are designed to be completely submersible and can simultaneously transmit both pH and temperature readings. There are several basic types of pH transmitters. A loop pH powered transmitter is a two-wire device typically powered by a 24 VDC powered transmitter or a 120/240 VAC powered analyzer. These pH transmitters often include a built-in preamplifier which conditions the signal coming from the pH sensor and provides a 4-20 mA output signal to the transmitter. An ion sensitive field effect transistor (ISFET) is a type of transistor that responds to changes in the hydrogen ion concentration in a solution. When the hydrogen ion concentration or pH changes, less electrical current flows through the transistor. Consequently, ISFETs are well suited for use in pH sensors and pH transmitters. ISFET silicon chips are more durable and reliable than glass pH electrodes, which may break in harsh environments. ISFET-based pH electrodes also offer more stable pH measurement, with a response rate typically ten times faster than glass electrodes. ISFET-based pH transmitters are popular in pharmaceutical applications and the food processing industry. Their durability allows them to be easily sterilized without the risk of breaking during handing. Pressure transmitters translate low-level electrical outputs from pressure sensing devices to higher-level signals that are suitable for transmission and processing. They use many different sensing technologies and can measure the pressure of liquids and/or gases. Mechanical deflection devices such as diaphragms, Bourdon tubes or bellows consist of an elastic or flexible element that is deflected mechanically by a change in pressure. Devices that use sealed pistons or cylinders are also available. Strain gauges are often bonded to a larger structure that deforms as pressure changes. Piezoresistive devices sense shifts of electrical charges within a resistor. Piezoelectric pressure transmitters measure dynamic and quasi-static pressures. Their common modes of operation are charge mode, which generates a high-impedance charge output; and voltage mode, which uses an amplifier to convert the high-impedance charge into a low-impedance output voltage. Thin film devices consist of an extremely thin layer of material, usually titanium nitride or polysilicon, deposited on a substrate. Pressure transmitters that use microelectromechanical systems (MEMS), variable capacitance, and vibrating elements are also available. Pressure transmitters are capable of performing various pressure measurements and displaying amounts in different units. Absolute pressure is a pressure measurement that is relative to a perfect vacuum. Typically, vacuum pressures are lower than the atmospheric pressure. Gage pressure, the most common type of pressure measurement, is relative to the local atmospheric pressure. By contrast, sealed gauge pressure is relative to one atmosphere of pressure (oz) at sea level. Differential pressure reflects the difference between two input pressures. Compound pressure instruments can display both positive and negative pressures. Some pressure transmitters display values in pounds per square inch, kilo pascals, bars or millibars, inches or centimeters of mercury, or inches or feet of water. Other devices display measurements in ounces per square inch or kilograms per square centimeter. Performance specifications for pressure transmitters include working pressure range, vacuum range, accuracy, and operating temperature. Working pressure is the maximum, allowable pressure at which pressure transmitters are designed to operate. Typically, devices should not exceed 75% of their maximum, rated range. Vacuum range, another important measurement, covers the lowest vacuum pressure and the highest vacuum pressure. Accuracy, the difference between the true value and the indication, is expressed as a percentage of span. In cases where the accuracy differs between the middle span and the first and last quarters of the scale, the largest percentage error is reported. Pressure transmitters can produce several types of electrical signals, including analog voltage and analog current. These output signals can be encoded via amplitude modulation (AM), frequency modulation (FM), or some other modulation scheme such as sine wave or pulse train. Common communication protocols include Ethernet, DeviceNet, FOUNDATION Fieldbus, the process fieldbus (PROFIBUS®), and highway addressable remote transmission (HART®). HART is a registered trademark of the HART Communication Foundation. PROFIBUS is a registered trademark of PROFIBUS International. Several serial and parallel interfaces for pressure instruments are available. RS232 and RS485 are serial, digital protocols. Parallel protocols include the general-purpose interface bus (GPIB), a standard which is also known as IEEE 488. Pressure transmitters differ in terms of display types and features. Analog meters use a simple visual indicator such as a needle. Digital displays present numeric or application-specific values. Cathode ray tubes (CRT), liquid crystal displays (LCD), and other multi-line displays are also available. In terms of features, some pressure transmitters include temperature compensation or provide temperature measurement and negative pressure outputs. Others include built-in audible or visual alarms and an output switch compatible with transistor-transistor logic (TTL). 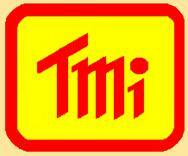 Pressure transmitters that are rated for hazardous materials are also available. Thermocouple temperature transmitters convert the small millivolt (mV) output of a thermocouple to a current signal (typically 4-20 mADC) that is immune to noise and voltage drops over long distances. They are used with thermocouple temperature probes, bimetallic devices that are suitable for various temperature sensing applications. Isolated thermocouple temperature transmitters eliminate ground loop problems by isolating the transmitter input from the transmitter output. Output options include analog current, analog voltage, or relay/switch output. Metal type is an important consideration when selecting thermocouple temperature transmitters. Base metal thermocouples can measure different temperature ranges, depending on the sensor material. Each type or designation represents a specific metal type and temperature range. Type E (chromel/constantan) has a typical temperature range of -270° C to 1000° C. Type J (iron/constantan) has a temperature range of -210° C to 1200° C. Type K (chromel/alumel) has a temperature range of -270° C to 1372° C. Type N (nicrosil/nisil) has a temperature range of -270° C to 1300° C. Type T (copper/constantan) has a temperature range of -270° to 400° C. For noble and refractory metals, choices include type B (platinum 30%/rhodium) with a temperature range of 0° C to 1820° C; Type S (platinum 10%/ rhodium) with a temperature range of -50° C to 1768° C; Type R (platinum 13%/rhodium) with a temperature range of -50° C to 1768° C; and Type W (tungsten/rhenium) with a temperature range of 0° C to 2300° C.
Performance specifications for thermocouple temperature transmitters include analog voltage, analog current, resistance, and temperature. Devices that receive analog voltage inputs accept and condition voltage inputs such as 0 – 10 VDC. Devices that receive analog current inputs accept and condition current loops such as 4 – 20 mA. Devices that receive resistance inputs accept and condition analog resistance inputs such as 0 to 10 ohms. For thermocouple temperature transmitters, operating temperature is a full-required range. There are several mounting styles for thermocouple temperature transmitters. Devices with thermohead/thermowell mounting are designed to be an integral part of a probe assembly. Some devices are suitable for mounting on a DIN rail. Others are designed to be mounted within a cabinet or rack. Thermocouple temperature transmitters that mount on computer boards are also available. Vibration transmitters provide electrical outputs that are proportional to vibration inputs. They are used during predictive maintenance in order to reduce unexpected machine failure. Vibration transmitters collect vibration information from a machine and evaluate the data so that maintenance can be performed based on trends in the machinery’s condition. Vibration transmitters can provide a 4-20mA signal that is directly proportional to the overall vibration level of the machine. Vibration transmitters use root mean square (RMS) vibration measurements for accuracy. Vibration transmitters are used to sense machine imbalances, shaft misalignment, and mechanical looseness in machinery. Shaft misalignment occurs when rotating machinery shafts become misaligned due to movement that results from the operation of the machine at less than optimal conditions. When shafts become misaligned, forces on the machine produce stress on various components. In order to achieve proper shaft alignment, the rotational centers of two or more shafts must be positioned so that they are co-linear during normal machine operation. There are many different types of vibration transmitters. A motor vibration transmitter is a type of vibration transmitter that is used to convert the rotation of a motor into vibration. Motor vibration transmitters typically consist of a vibrating motor and a capsule on the outside. An electronic circuit drives the motor and the capsule converts the rotation of the motor into vibration, while ensuring that the person using the device does not come in contact with the rotating motor. These types of devices are commonly used in cell phones and pagers. A loop-powered sensor is a type of vibration transmitter that has power and extracts measurement signals along the same set of power wires to remote locations over long distances. Humidity transmitters provide electrical outputs that are proportional to humidity inputs. They measure variables such as relative humidity, absolute humidity, specific humidity, moisture content, dew point, temperature, and pressure. Relative humidity is a measure of the amount of water in the air compared with the amount of water that the air can hold at the measured temperature. Absolute humidity is the mass of water vapor in a given volume of air. Specific humidity is absolute humidity divided by the total mass of the given volume of air. Moisture content or water content is the ratio of water mass to total mass. Dew point is the temperature to which air must be cooled in order for saturation to occur. Some humidity transmitters measure pressure. Others measure temperature. Typically, devices that measure pressure or temperature include additional probes. Humidity transmitters use several technologies. Capacitive devices contain a dielectric material whose properties change as humidity is detected and capacitance increases. Resistive devices exhibit changes in impedance in response to humidity. Humidity transmitters that use chilled mirrors are cooled to a specific temperature, the dew point, at which moisture begins to condense on the surface. Electrolytic devices measure moisture proportional to the current needed to electrolyze it from a desiccant. Infrared (IR) instruments use the infrared spectrum to measure the absorption of moisture. With microwave-based devices, the amplitude and phase of a microwave signal is affected directly by the amount of moisture in a material. Psychrometers determine relative humidity by measuring the temperature difference between two thermometers, one wet and one dry. Strain gauges or piezoresistive elements measure the expansion of materials that absorb water. Nuclear humidity transmitters measure how neutrons are slowed by the presence of moisture in a material. Selecting humidity transmitters requires an analysis of performance specifications and features. Performance specifications include operating temperature, relative humidity range, relative humidity accuracy, dew point range, and dew point accuracy. Relative humidity range and dew point range are ambient ranges that can be measured with a linear response. Relative humidity accuracy and dew point accuracy are percentages that indicate the closeness of a computed amount to its true value. Some humidity transmitters are temperature-compensated and maintain constant output readings across a range of temperatures. Other devices are pressure-compensated. Features for humidity transmitters include self-calibration, self-testing, diagnostics, and data logging. Event-triggered humidity transmitters can be configured to capture or log data when an event occurs. Battery-powered devices use batteries for full operation, not just backup. Humidity transmitters differ in terms of display type, electrical outputs, and digital outputs. There are three basic types of displays. Analog meters or gauges use needles or light emitting diode (LED) indicators. Digital readouts are numerical or application-specific displays. Video display terminals (VDT) include cathode ray tubes (CRT) and flat panel displays (FPD). Electrical outputs for humidity transmitters include analog currents, analog voltages, frequencies or pulses, and switches or relays. Digital outputs include Ethernet, modems, parallel interfaces, serial interfaces, small computer systems interface (SCSI), transistor-transistor logic (TTL), and universal serial bus (USB). Pt 100 Temperature Probe, Immersion Type. Range: -50 to 400 degC. For WATT, VAR and Power Factor Measurement with the 4 - 20 mA output with many options. Please consult leaflet by clicking on above link. pH electrode, Spear tip . 1 to 13 pH (Typical 0—14 pH) General purpose electrode, ideal for piercing into meat, sausage, cheese. Durable glass in rugged epoxy body. pH electrode General Purpose . 1 to 13 pH (Typical 0—14 pH) . Durable in rugged epoxy body. 0.5 to 50m/s. Aluminium body and Stainless steel vanes. IP65 Protection. Used with CT-2012 Controller.